We only use reputable and reliable delivery companies and we try to send out all of our orders the same day that we receive them, up to 2pm. Depending on how busy we are and levels of stock this is sometimes delayed. In this situation we will contact you via phone or email if the dispatch time is going to be extended by more than 3-4 days. Please note our delivery drivers only collect Monday-Friday so any orders placed over a weekend on a next day service will be dispatched on Monday. All small/light weight item orders will be dispatched with Royal Mail on a First Class service. Postage is charged as cheaply as we can . Bulkier or heaver items will be slightly more money due to our costs. We only use 1st Class for speedier service for you! 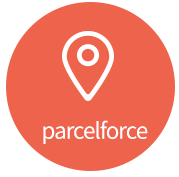 All Larger items are dispatched with DPD Local, Parcel Force, DHL, UPS and FedEx Couriers on a 24 hour, trackable service. Please note delivery times to the Highlands and Islands, and deliveries outside of the UK may take longer to arrive at their destination. 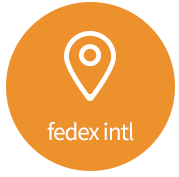 Larger items are sent by FedEx while smaller parcels are normally DPD which includes a txt message delivery slot on the day of delivery. We don't use cheap couriers that are a hassle for you we only use reputable and reliable courier services even if it costs us more! Saturday Delivery is available at an extra charge and can be selected from Thursday afternoon till Friday morning. Deliveries to the certain UK postcodes often used to incur a surcharge due to carrier charges to us. We have tried to remove all of these now by using different courier services. Can't see your country listed? Please contact us with your address & order details for a personal quote. Please note quotes are at the desecration of ATBShop. Please not at this time we do not generally ship outside of the UK, European Union & USA. All orders shipped with Courier are trackable. 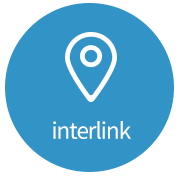 The courier will email you a tracking number once your order has been collected from us, on the other hand Interlink will text or email you to provide an a delivery window. 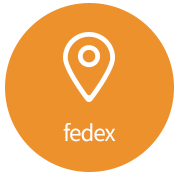 Use the links below to track your package. How do I return an Item? Returning goods to ATBShop is quick & easy. Simply download our RMA form, fill it in and then send it back to us & we'll take care of the rest. Please make sure goods are returned in their original packaging. If you have any questions about returning goods to us then please contact us. ATBShop is an environmentally conscious company, we try to re-use as much packaging as possible, this help keeps our shipping prices down and also stops the needless destruction of forests and wildlife. We encourage our customers to do the same, please responsibly reuse or recycle any of our packaging whether ever possible.